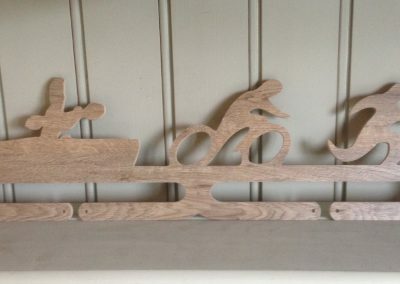 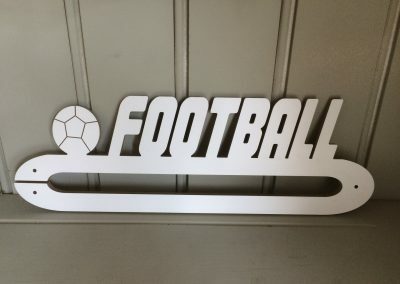 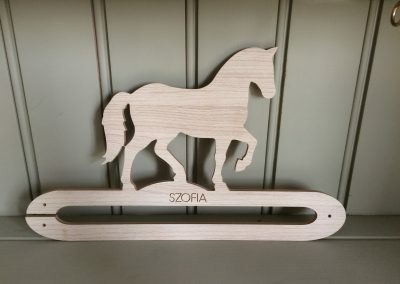 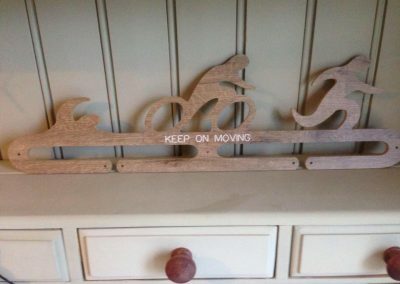 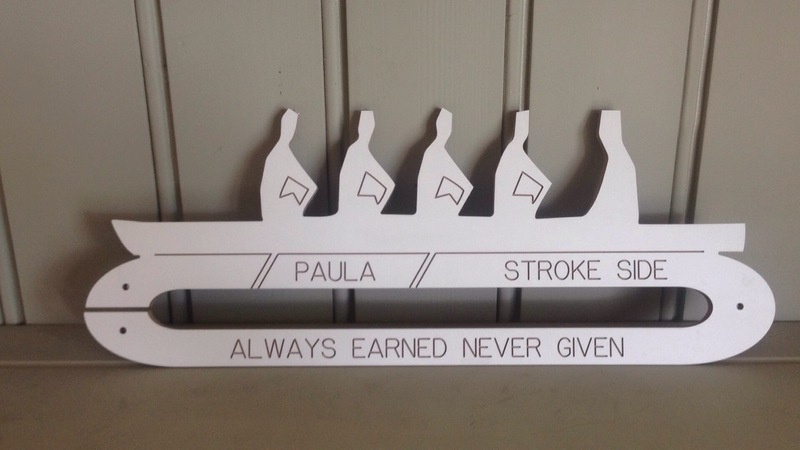 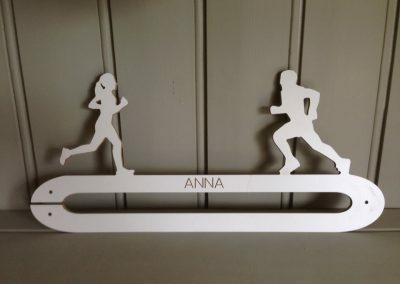 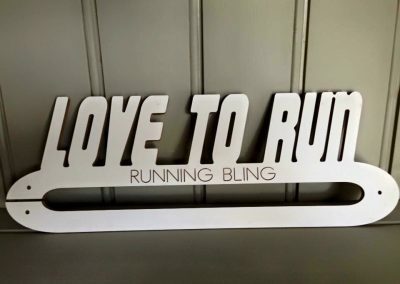 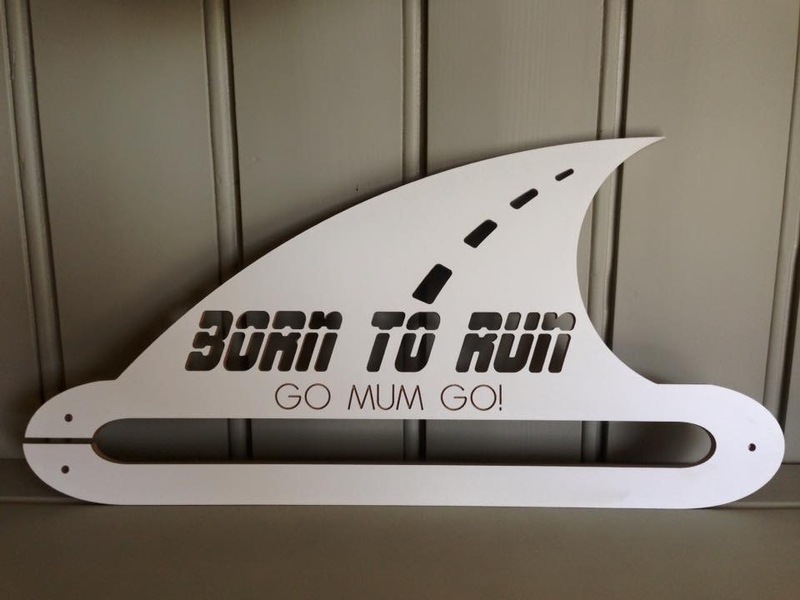 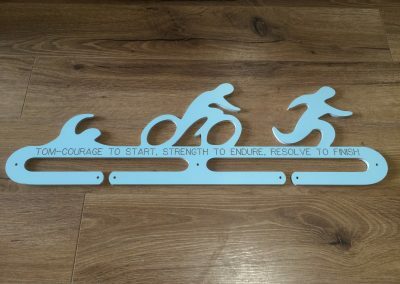 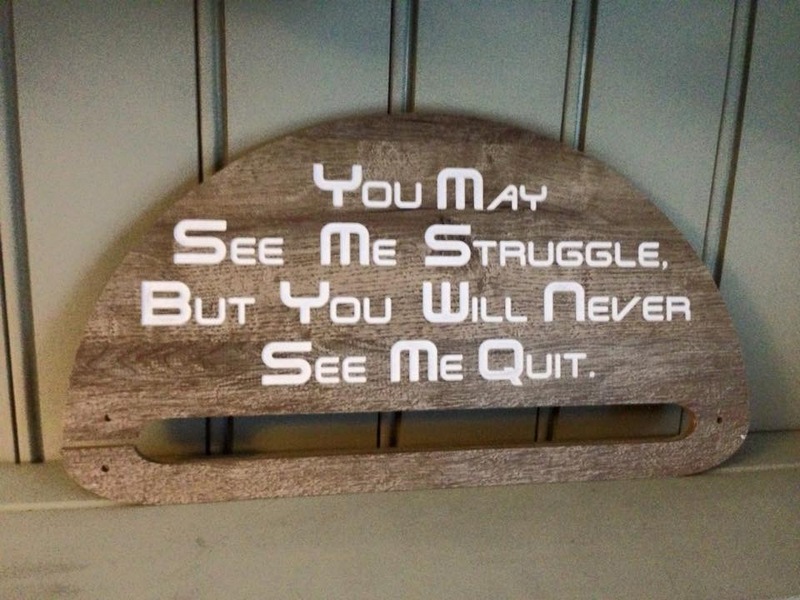 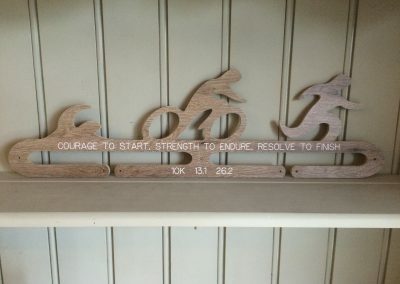 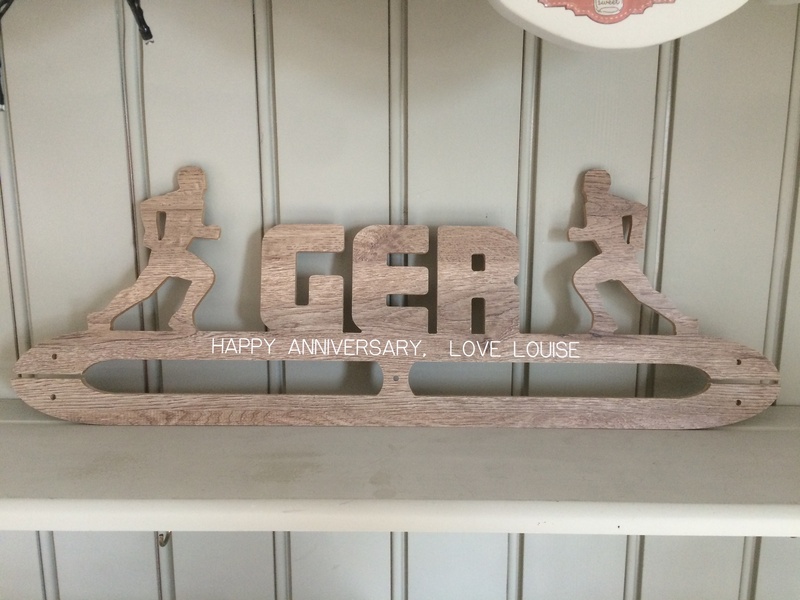 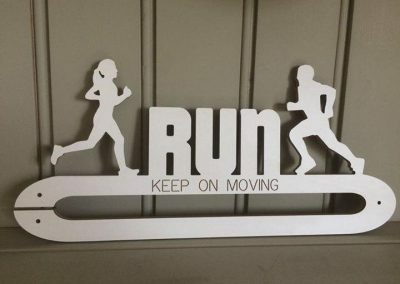 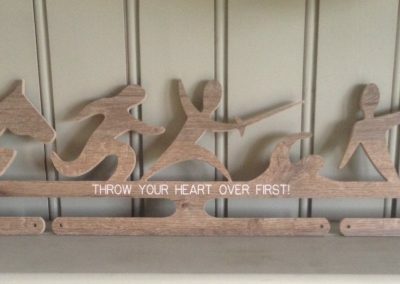 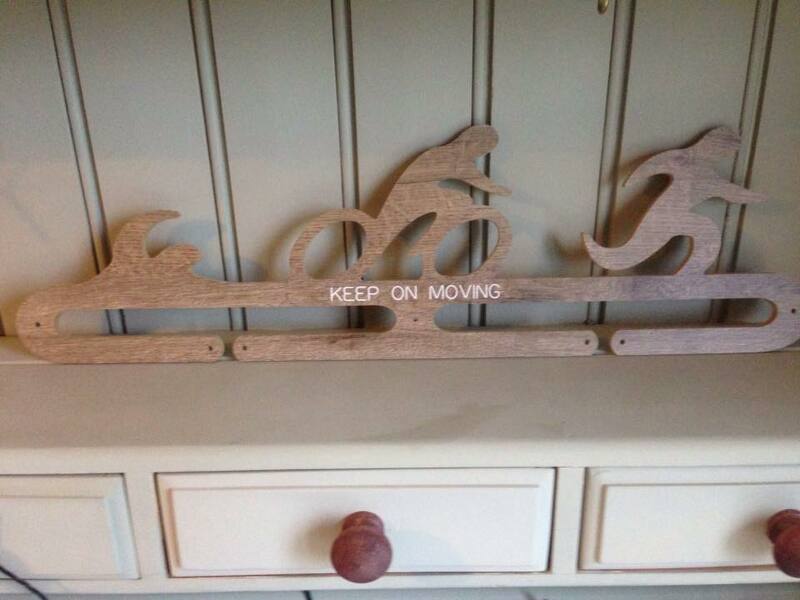 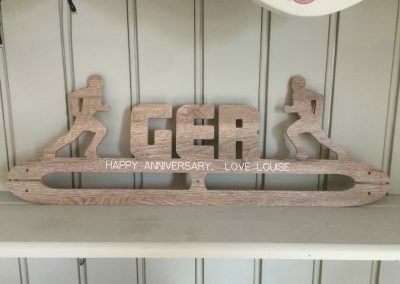 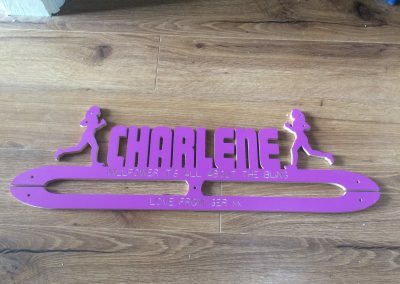 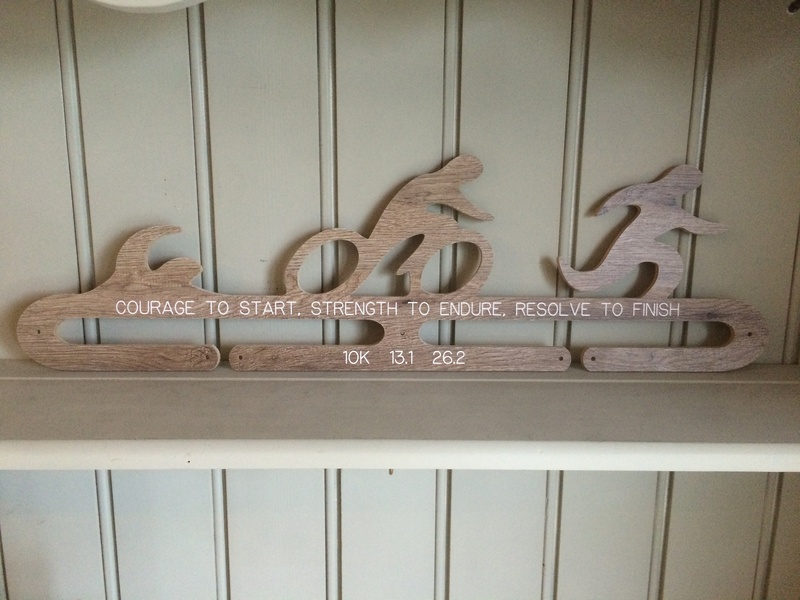 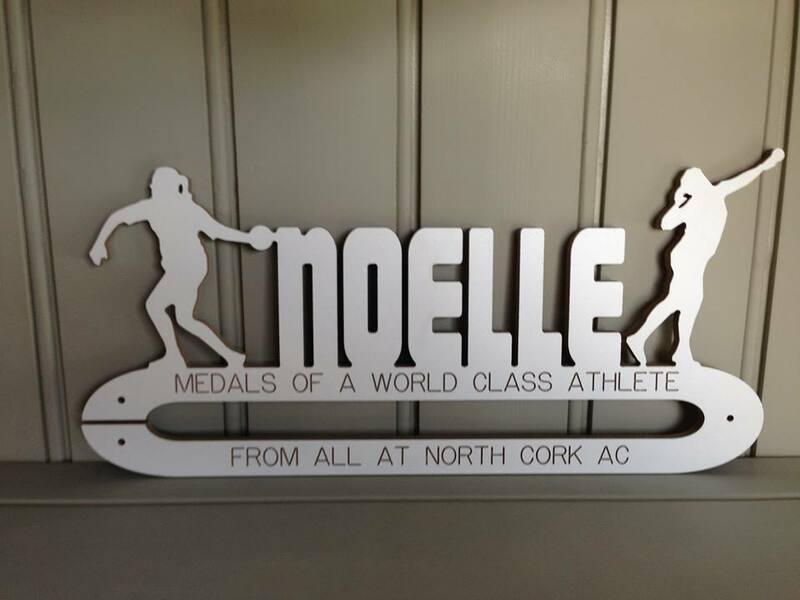 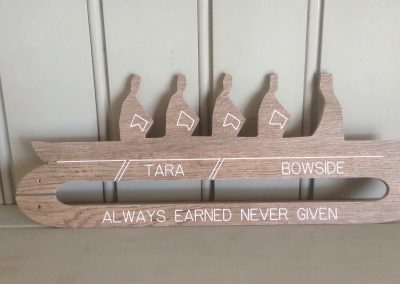 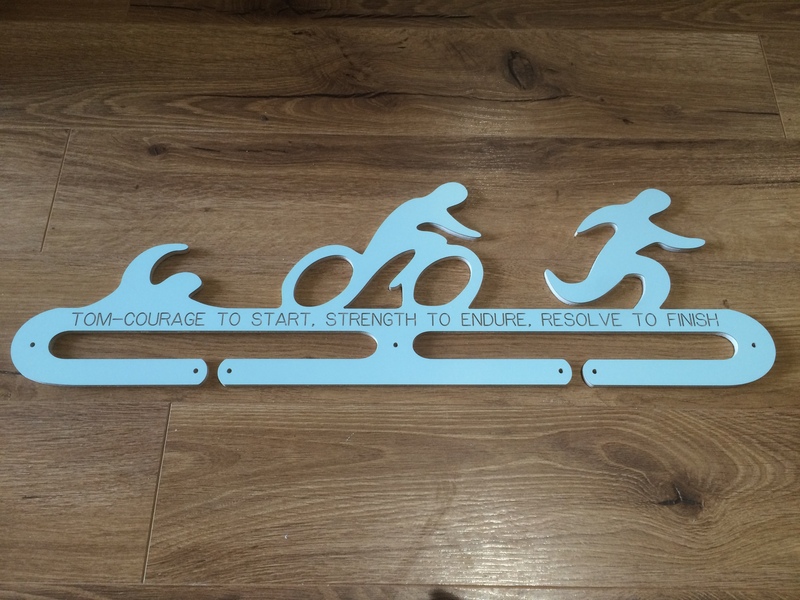 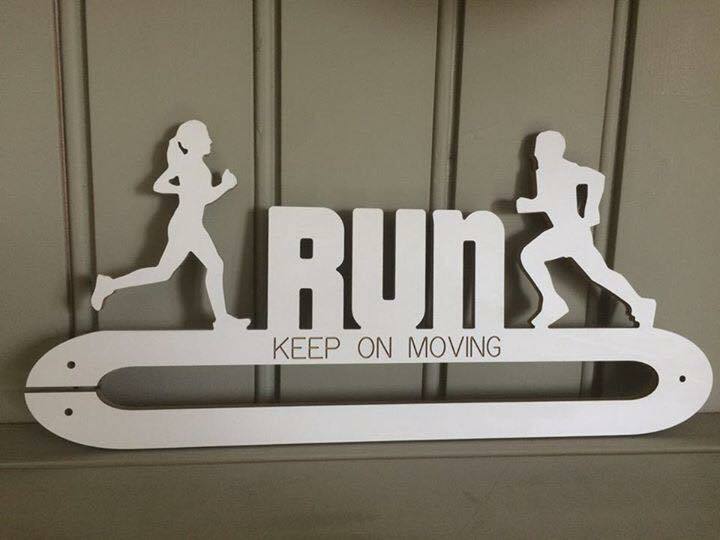 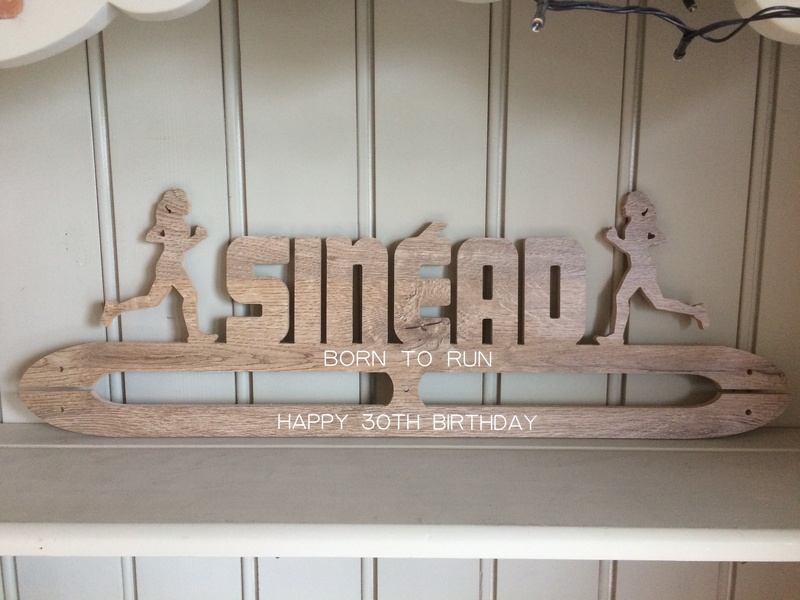 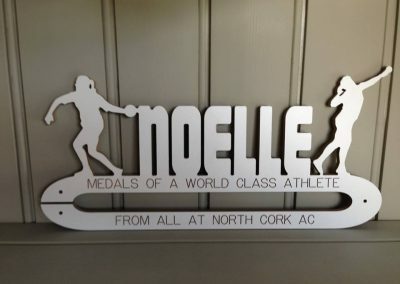 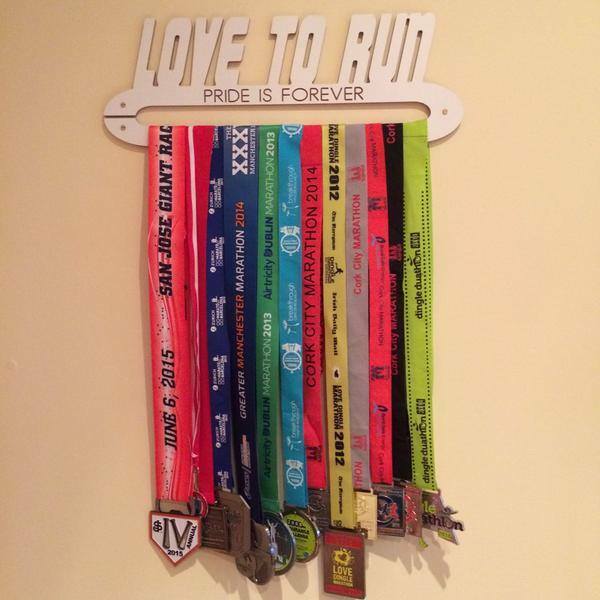 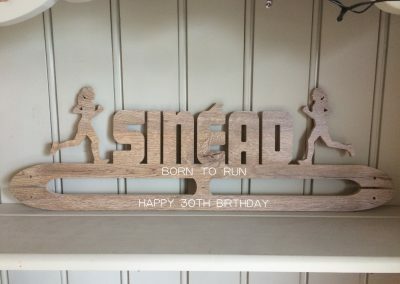 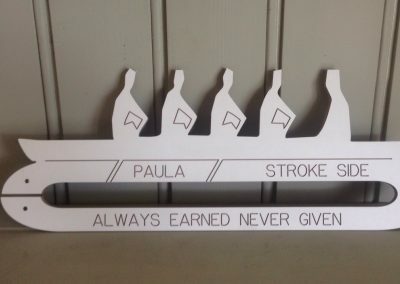 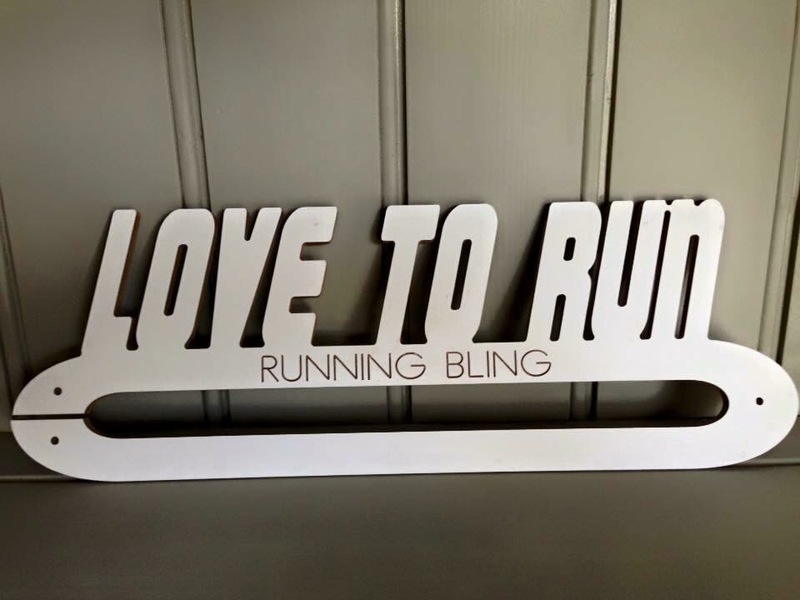 We have a new fantastic range of Medal Holders and Plaques for all the inspirational Runners and Cyclists out there taking part in Races and Marathons. 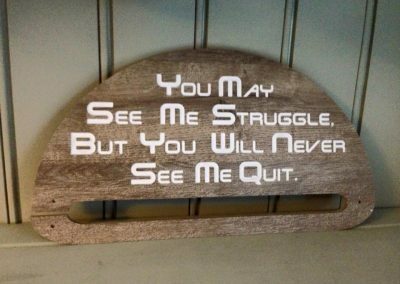 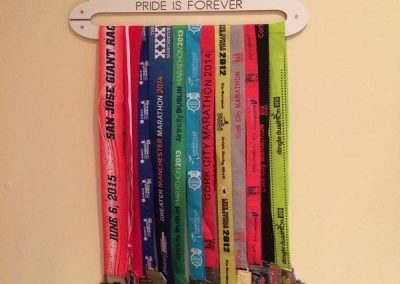 Be proud and display your achievements after all your hard work!! 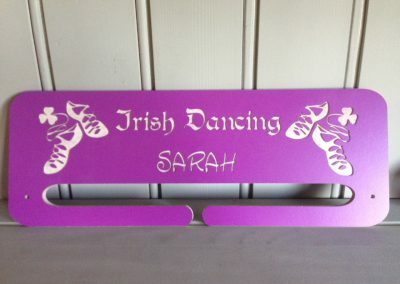 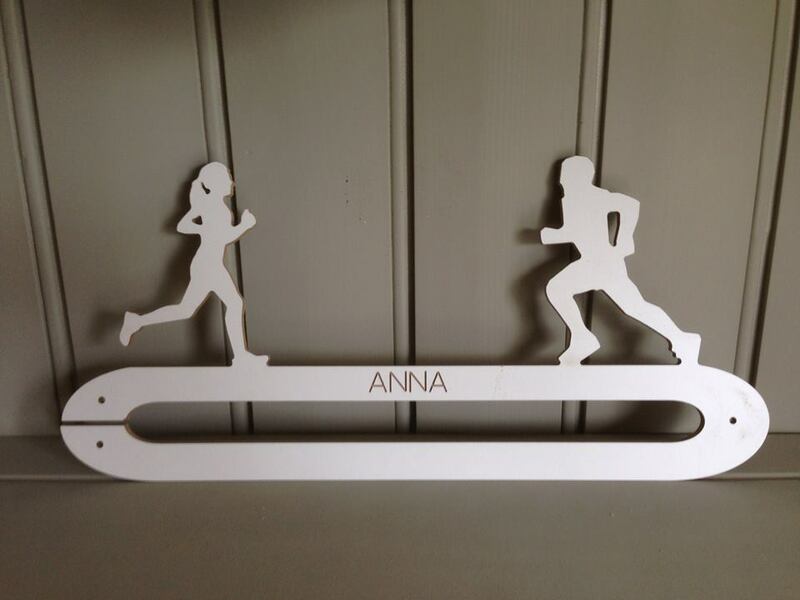 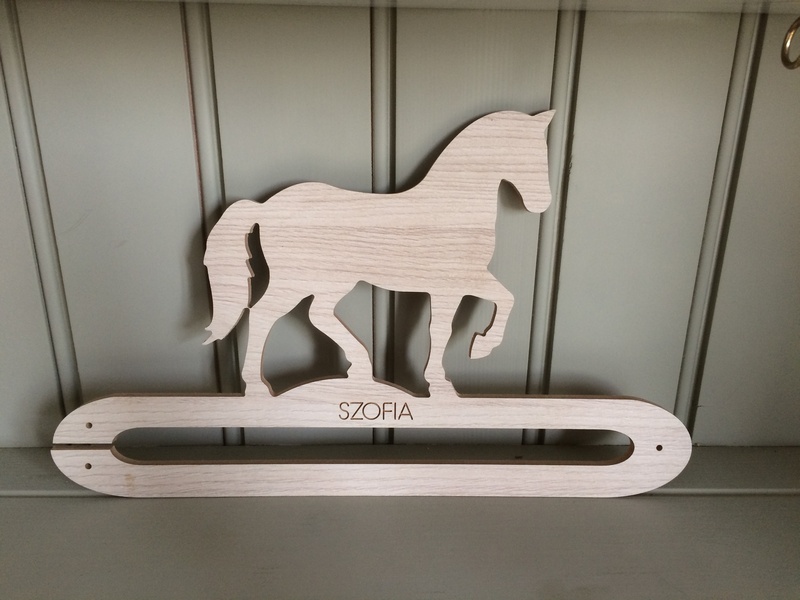 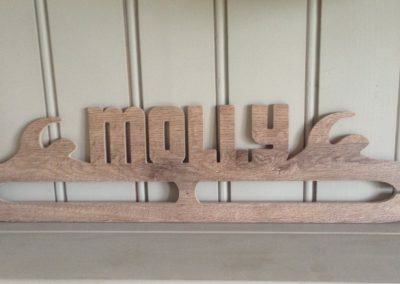 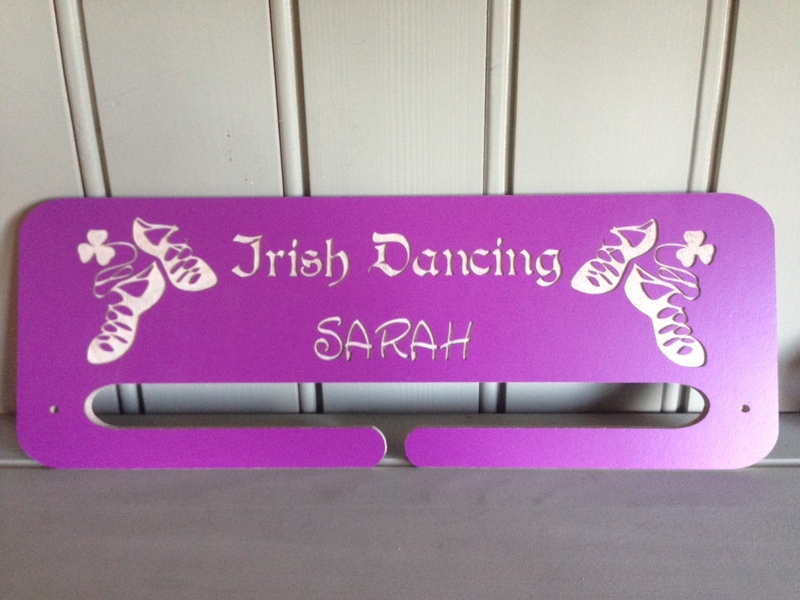 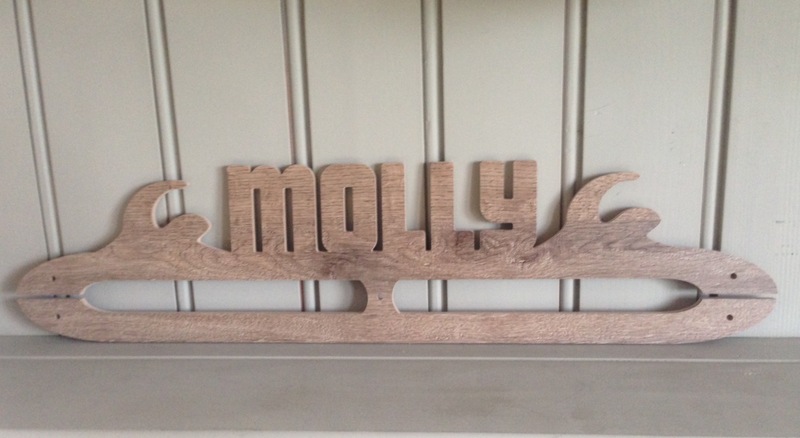 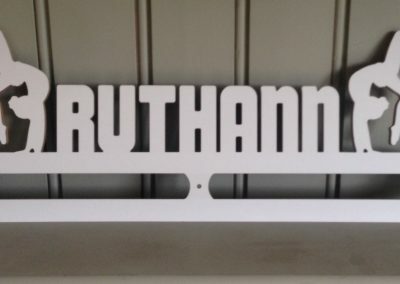 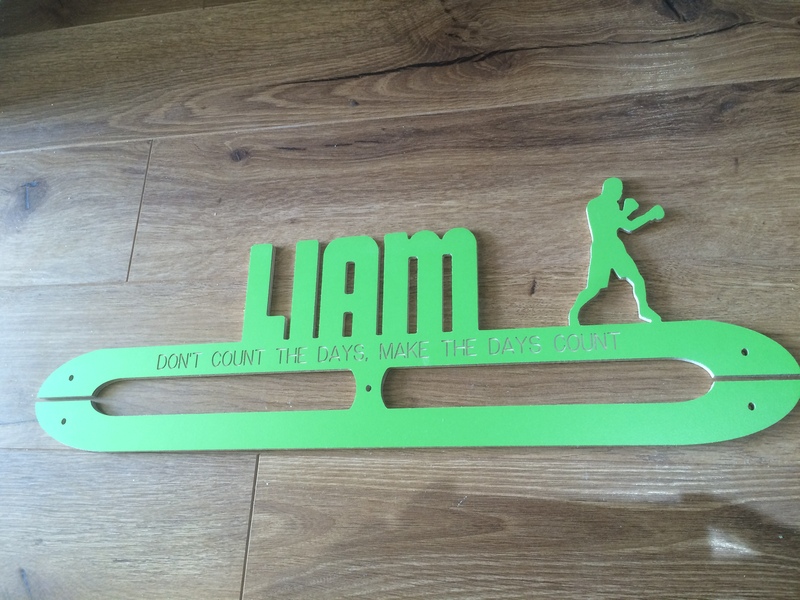 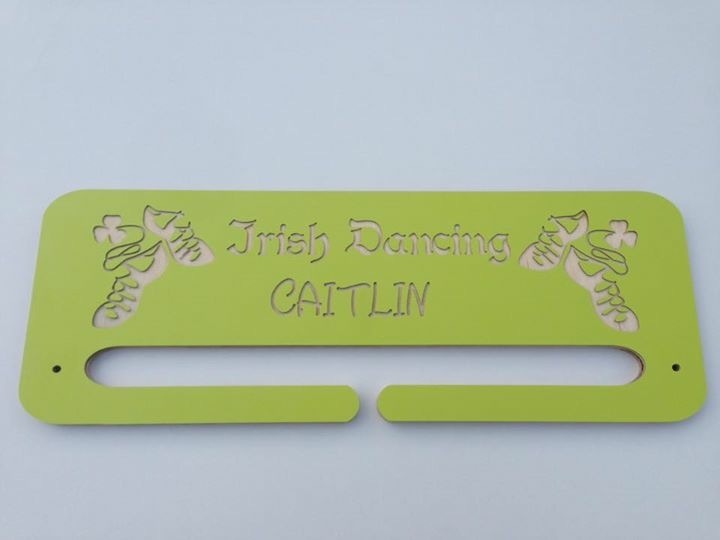 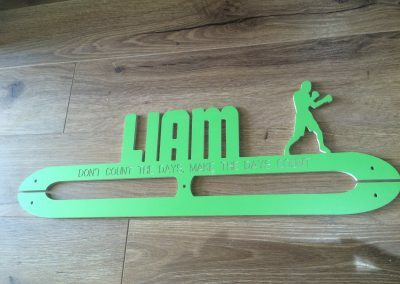 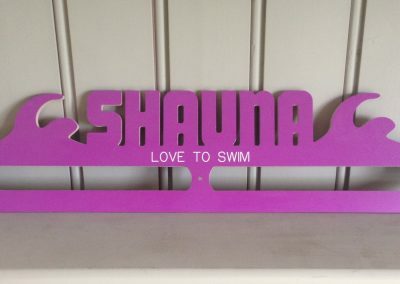 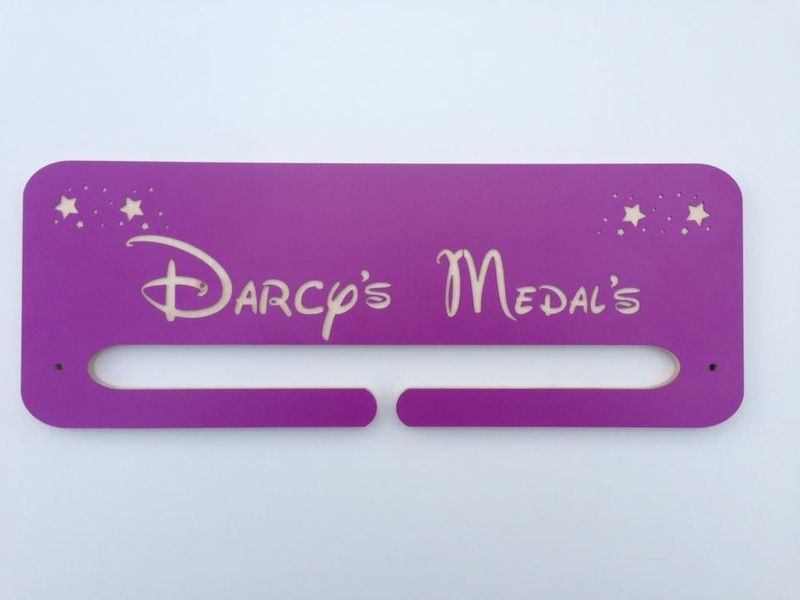 All of our Medal Holders and Plaques can be personalised with a name, date and time. 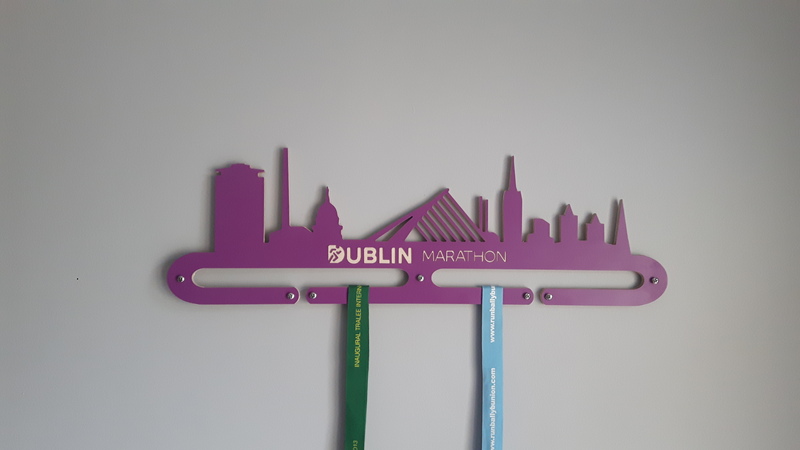 Our Medal Holders are made from 8mm melamine mdf allowing for flexibility when placing your medals on, and strength when attached to the wall. 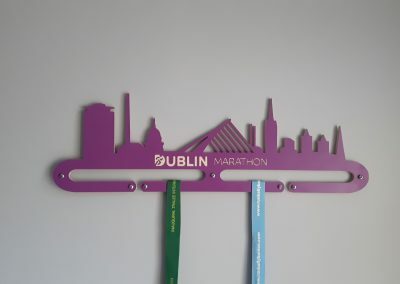 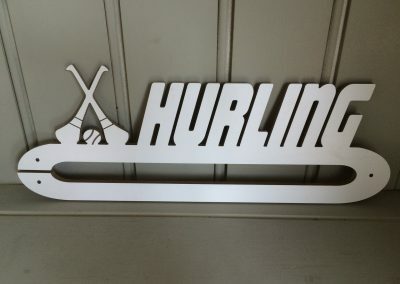 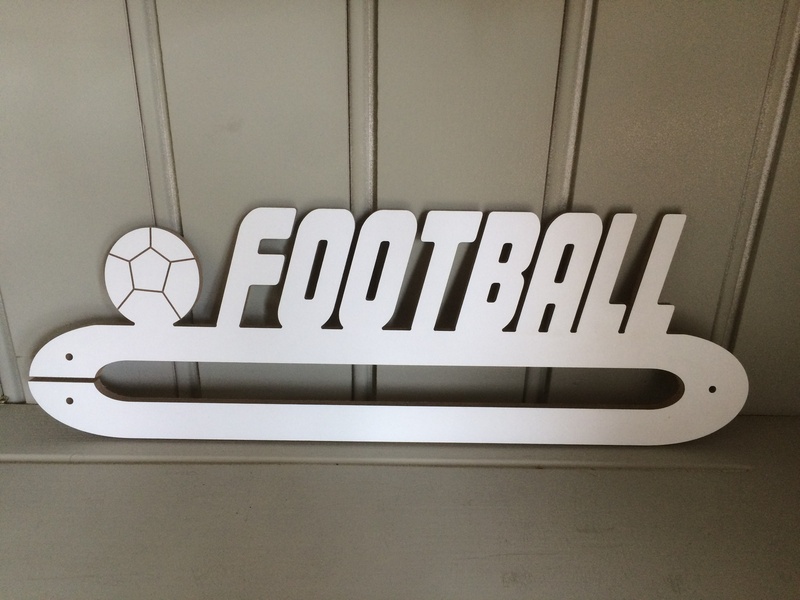 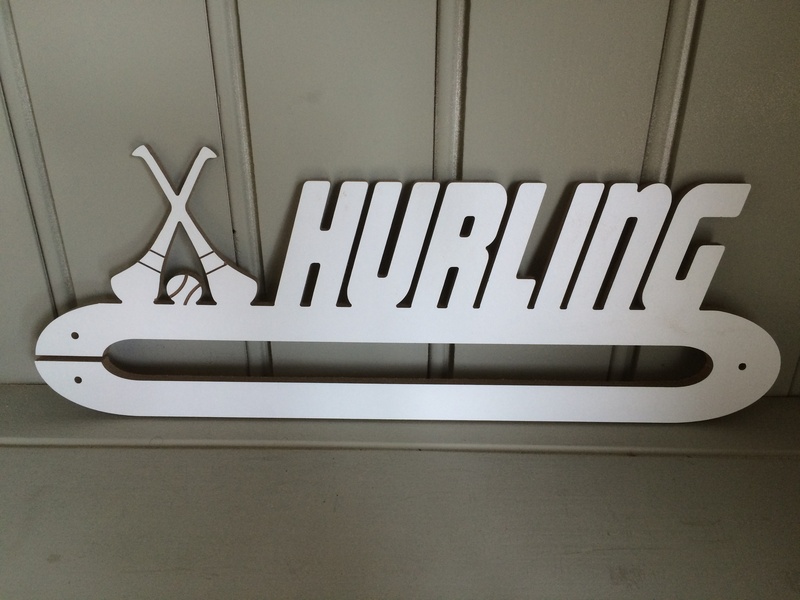 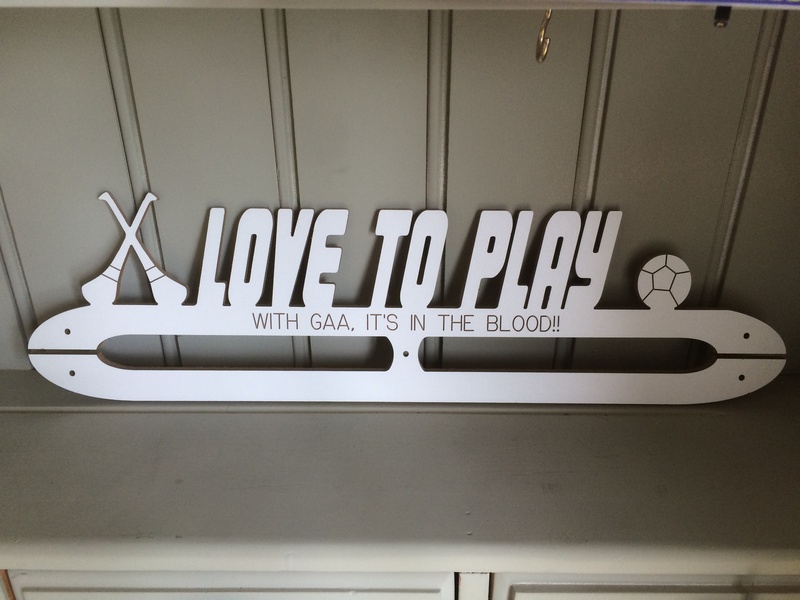 We also have a new range of medal holders which are made from 8mm melamine birch plywood. 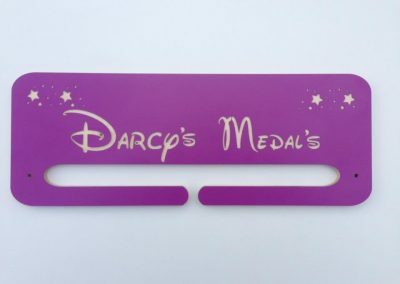 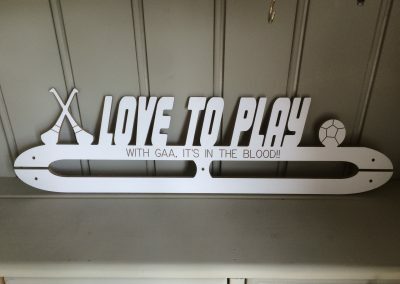 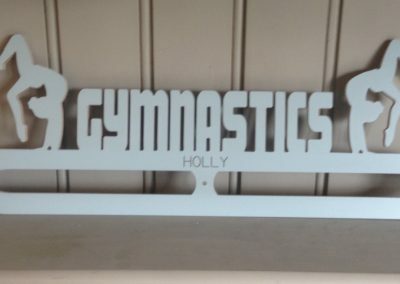 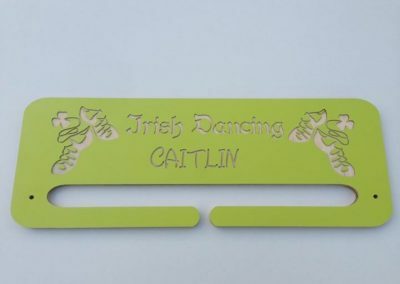 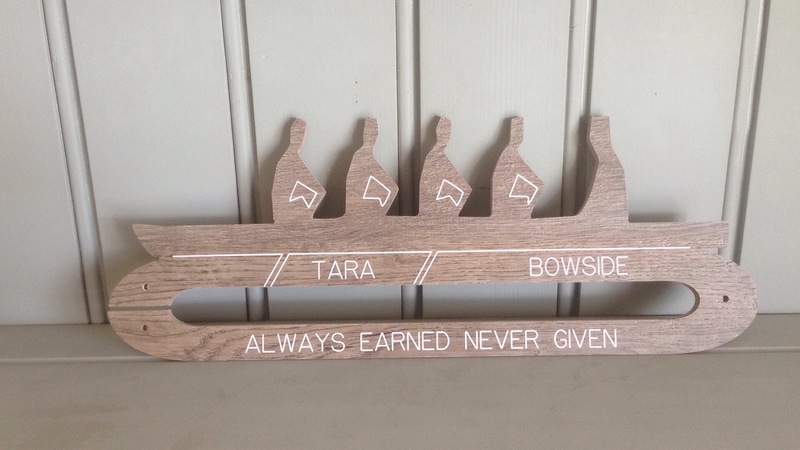 We can engrave the Medal Holder Plaques with any wording and you can add as many hooks as you require.